Student Government Association (SGA) held a debate in the Sandburg Theatre in the University Union last night for candidates in the current election, which opened on STARS at 6 a.m. this morning. Running unopposed for the office of Student Member of the Board of Trustees, Michael Quigley was the first to speak at the debate. Quigley then went on to answer some prepared questions and was able to touch on his favorite topic affecting Western Illinois University students: technology. Quigley then delivered his closing statements. “I think that technology absolutely has to be at the forefront for recruitment and for retention,” Quigley said. 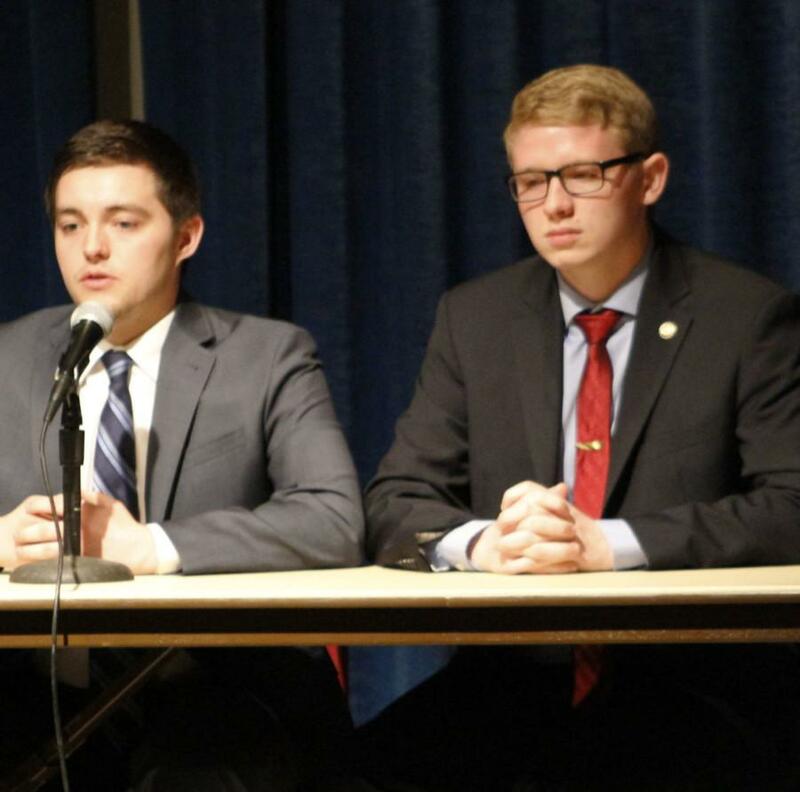 The next candidates to speak were presidential candidate Wil Gradle and vice presidential candidate Riley Addington. The two began their opening statements by drawing on their personal histories influencing their decision to run. Addington, previously a Resident Assistant (RA), decided to run for office in order to improve the community at Western. Addington and Dunn went on to answer prepared questions, including speaking about an idea to increase revenue at Western. Gradle went on to talk about the history of alcohol at Western. Gradle went on to describe the advantages of selling alcohol at the football games to generate revenue before closing his arguments. The next four candidates to take the stage were Matthew Alwood, Robert Barlow, Calen Edgar and Areli Patino for positions as senators at-large. These positions are meant to represent the student population as a whole, rather than a specific organization or hall. Rick Hardy of the Political Science Department at Western was the moderator for this event. Voting opened at 6 a.m. this morning on STARS and will be available until 4 p.m. on Friday. Winners will be announced Friday at 5:00 in the Sandburg Theatre.